The luxury tobacco composition that is prepared to produce these rolls of tobacco is based on high quality, carefully selected ripe Virginia tobacco, finished with some traditional cured Perique and Cavendish tobacco. 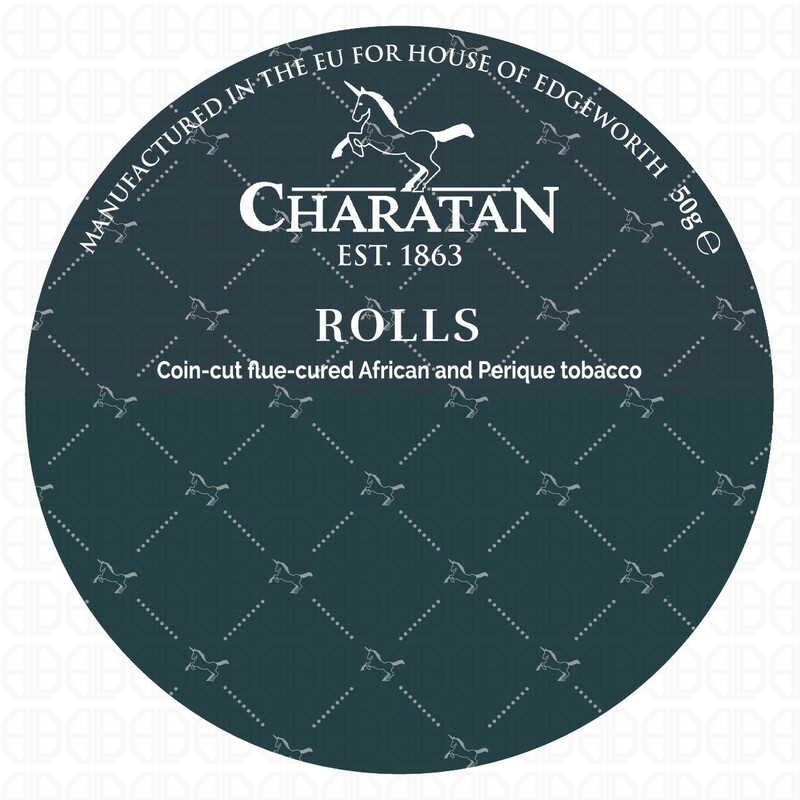 Whilst the recipe is very close to a recently discontinued Navy Rolls, Charatan have purposely avoided the same 'look' by finishing the roll with a 'Cavendish Bulls Eye' rather than spread this unique tobacco throughout the mixture. This will allow the pipe smoker to sprinkle and mix the tobacco to satisfy their own taste.